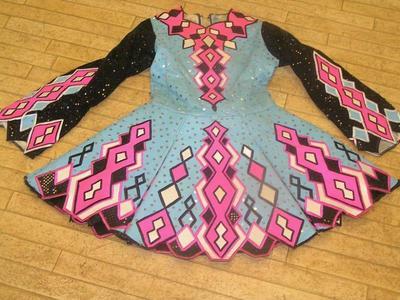 This is a suberb Geraldine Taylor dress which is absolutley stunning on stage and It is in good condition. The main material is beautiful Blue organza with an embrodered glitter sequence on it. 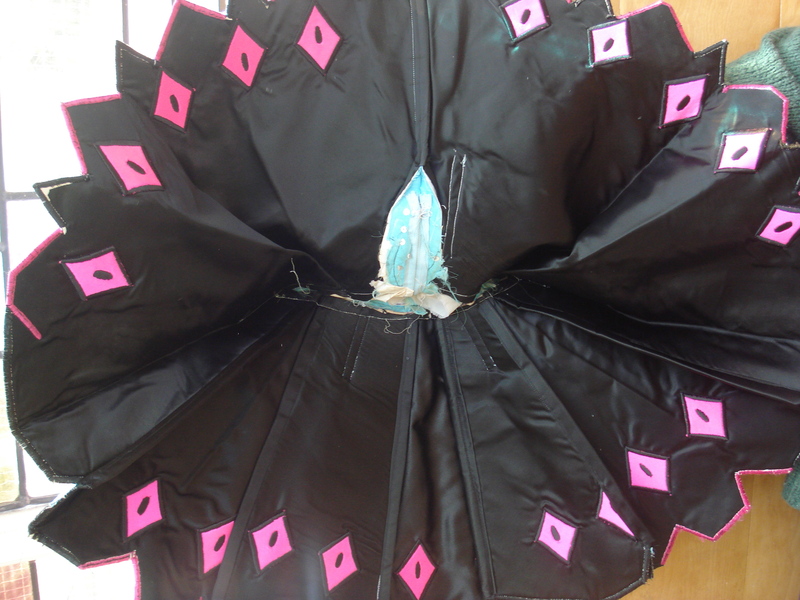 The sleeves are fully embrodered and the main material is black glitterdot!! The neckline, cuffs and cape and bottom of dress are scalloped to match the design. 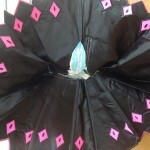 The cape is shaped like the design and very effective. The whole dress sparkles on stage and is a very beautiful girly dress. There a a few frayed sequence at the waist of the dress and one at the chest but this is not noticable and normal as it being over a year old. There is also faded tan marks on the inside of dress neckline but not noticable from outside and not very noticable as has been cleaned. 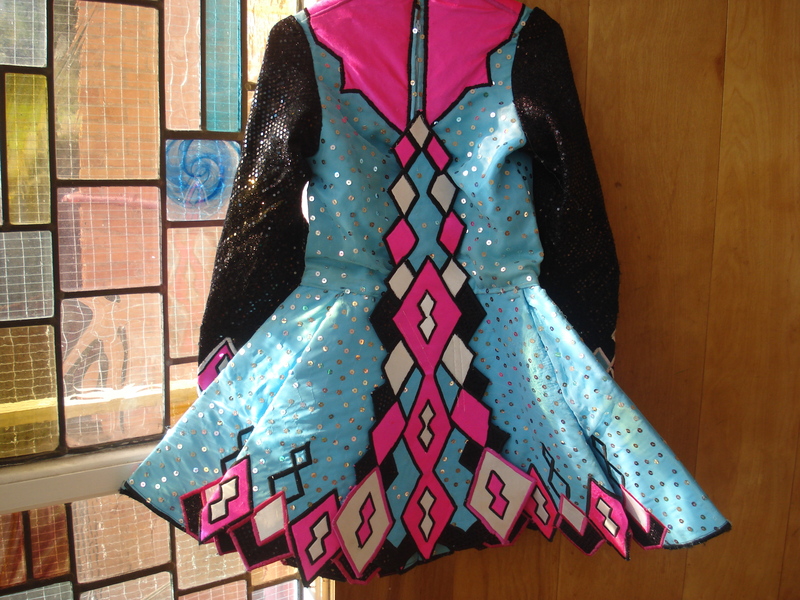 This is a truly stunning Dress and is suitable for a championship dancer. 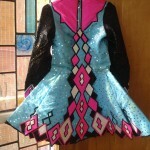 Many people have complimented on this dress it is truly unique. Postage will vary depending on your location.